Is 2018 Your Break Out Year? Then start with this 3-4 Bdrm, 2 Bath home with home business potential & zoning in the center of city. Remodeling and updates blend well with the original wood work throughout. Formal living and dining room have a warm nostalgic feel. The den/office which could also be a main floor bedroom if needed along w/front multi-use space for even more options. The kitchen features 42 custom built cupboards & drawers, newer countertops, laminate flooring and all appliances. Main floor also has a full remodeled bath. Upstairs you will find 2 bedrooms and the master suite w/walk thru closet, a full bath w/convenient dual sinks. Newer washer, dryer, refrigerator, water heater and roof along w/vinyl siding and windows. 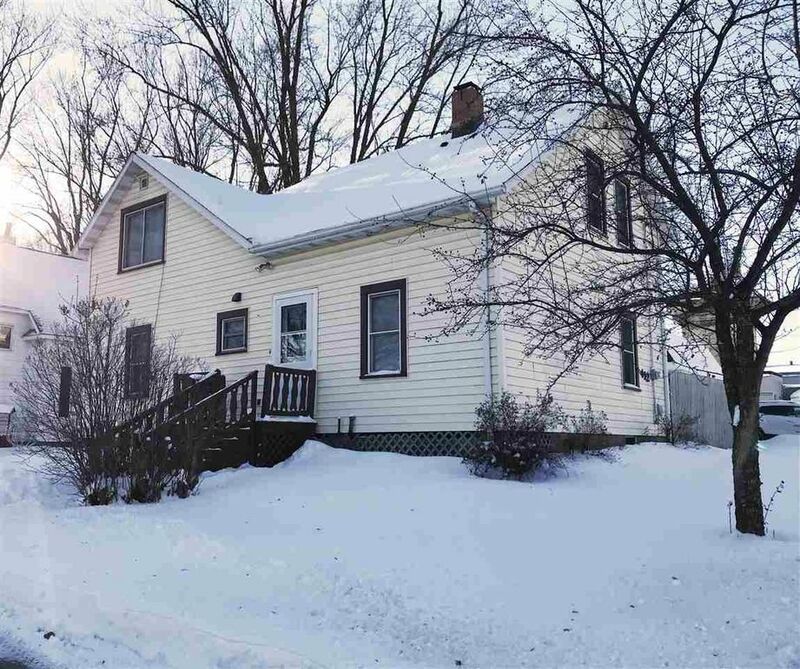 Oversized 2 car heated, insulated garge w/walk up attic for extra storage is a plus. So much to offer and just waiting for you! Wooden playset included. *Deck Bench NOT included. Directions: Central Ave, E on Arnold St to property.